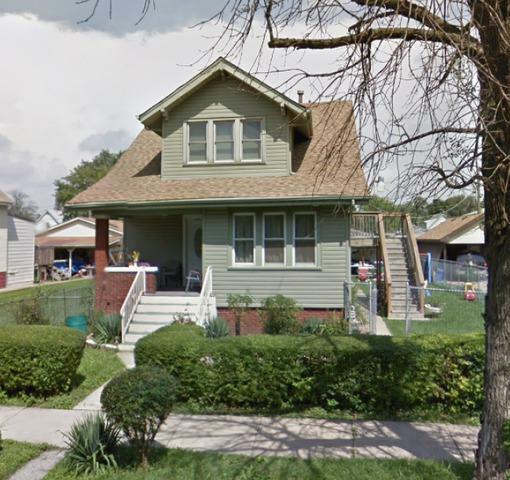 2 Story 7 Bedroom 3 Bath on Huge Lot in Blue Island. Eat in Kitchen, Dining Room, Spacious Living Room & Hardwood Flooring. 2nd Level Related Living w/ Eat-In Kitchen & Family Room. Full Finished Basement w/ 3 bedrooms and bathroom, Fenced in Back Yard w/Wooden Deck & 2 Car Detached Garage, newer siding and HVAC. Short Sale, AS-IS. Listing provided courtesy of Victory Lane Realty Llc.